‘Living Shamanism’ is a book that examines Shamanism from a Western perspective. It does this by strolling through the history of Shamanism from a cultural point of view. It then takes you on a journey to establish the ways of indigenous peoples, old cultures and mainstream religions, before moving into the present, determining exactly what it is that many modern day people have forgotten. What is the true meaning of ‘relationship’; relationship to the self, others, the Earth and the Cosmos? Looking at the possible causes of our disconnection from our ability to experience authentic relationships and many other everyday issues, and it does this in a frank and honest way. I use some of my own life experiences that I happen to know are the experiences of many others too. These experiences illustrate how easy it is to get seduced into a world of illusion, and more importantly, how easy it is to get the help you need simply by taking responsibility for yourself; acknowledging the sacred in all life, and using some of the many tools we use and have collected over the years. My own experience and journey into Shamanism was, at times, like being on a ‘white knuckle ride’ that sometimes propelled me uncontrollably into the unknown; an amazing journey into the wonderment of mystery. Demystifying Shamanism to me is like proving to you that a magic trick really is magical after all! For me, the acknowledgement of my own awakening and appreciation of how my so-called ‘fulfilled’, ‘evolved’ and material lifestyle left so many voids. It also left an emptiness in the pit of my stomach that could not be sated… until that is, the day I slowly began to walk the path of a ‘medicine woman’. Even though I follow a Shamanic lifestyle, I am very aware that there are many spiritual paths that one can pursue today. Most of them require us to take personal responsibility and ‘show up’ as agents of change, especially now in this current collective consciousness of global dis-harmony. Whether one chooses a dogmatic, religious or flexible exploration into the self, that choice and experience is completely yours to make. For many of us, our first experience of a spiritual path is usually linked to an organised religious faith; maybe Christianity, Catholicism, Muslim, Judaism, etc. Quite often, our first experience derived from adopting our parents’ belief system, or maybe a religion promulgated by our school.As we get older, more often than not this happens in our 40s. Some of us start to question ‘mainstream’ religions and their ethics, if only to satisfy our ability of ‘freedom of choice’ and ‘free will’. For me, after a great deal of soul searching, the path I chose was a Shamanic one. I found that the ancient teachings I had learnt from the honourable and impeccable Qero tribes had afforded me my own personal key; one that would ‘unlock the door’ so to speak. It would help me do this by not only allowing me travel to ‘other dimensions’ that were light-years away from my present world of illusion, but also by providing me with many answers to help fill those uncomfortable periods of emptiness that I was experiencing. The answers I was given help to bestow on me a much deeper sense of one-ness and relationship. I feel such deep gratitude and reconnection to the Earth and the people that I share my life with, and with those who come to me for healing. In fact, so much so, that often the sheer wonderment of it all literally wants to ‘burst out of my heart centre’! ‘Living Shamanism’illustrates certain aspects where I wish I could have used these words: ‘Please forgive my human bullishness, arrogance and ignorance’! In the book, I want to share with you how I had become wrapped up a world which measures its people by how much we succeed, and create an unsustainable and somewhat insurmountable ideal of a life-style. It is a lifestyle that often damages us and others, purely created by a sheer need to ‘make something of ourselves’. I want to show just how fearful, aggressive and violent many have become as a race; so much so that we are now a race that seems impotent and defensive. So often in our lives we combat this by abusing our power; whether that is a power over others or a power that boldly strips another’s beliefs or culture away; perhaps all due to the fact ‘what we do not understand makes us fearful’. It is very much a Catch 22 scenario! Living Shamanism’ is for any person who wishes to awaken themselves to the possibility of a more harmonious way of living. It will take you on a journey, some of which will be that of discovery accompanied by my own experience. Other parts will be an awakening and awareness to certain levels of our collective human hostility, for example Integrity; Void Fillers; Relationships; the Masculine and Feminine; our limitations of Old Belief Systems and Death, and much more. I delve into that old adage of our expectations of Love; the many Roles we have adopted for ourselves; our need to be in Control or be Controlling. The book will also delve into the Alchemical Process of Re-inventing the Self through a metamorphic process from seed (birth), germination (life experiences), to the ultimate goal of Illumination (wisdom and intelligence). Lastly and just as importantly, I want to de-mystify ‘Ceremony’, as this under-used practice is often a missing piece of the jigsaw when attempting to attain an ‘Authentic Relationship’ with ourselves, others and the world that we live in. 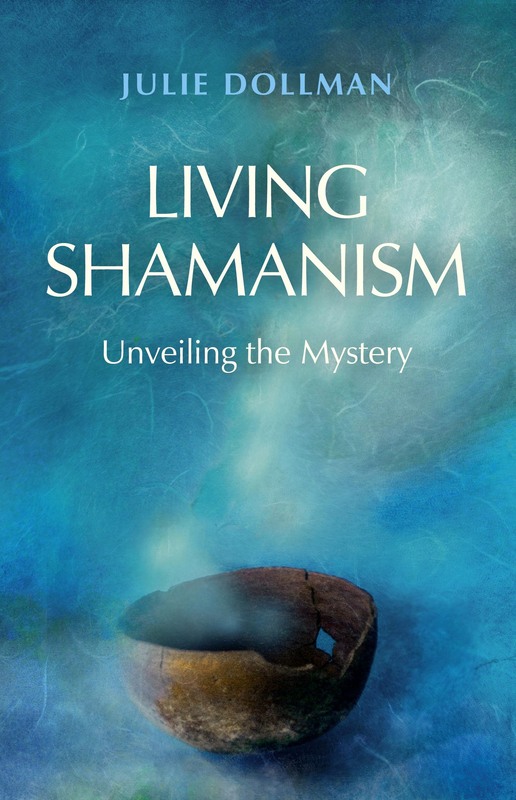 In her introduction the author, Julie Dolman, states that 'Living Shamanism' is for any person who wishes to awaken themselves to the possibility of a more harmonious way of living. In order to do this we are given tools to help us examine how we have become disconnected, why we constantly search for things to make us feel 'better, happier and more at ease'. She leads us into the void and then provides exercises that will help us to heal our wounds. These are not specifically shamanic exercises but ones that anyone involved in self development or change process will recognise, but no less powerful for that. We are led through the landscape of the 'wounded victim' to explore right relationships not only with self but with others, as well as the archetypical roles of masculine and feminine, alongside how to communicate with others before finally exploring the area of control. There is as well, a second theme within the book which is to take the mystery out of what a shaman and shamanism are. Here the author writes as someone who has trained in Peruvian Shamanism and healing the light body. As well as looking at what a shaman is and the relationship between shamanism and religion, we also read about the shaman in western society. The real demystifying though comes towards the end of the book when Dollman looks at shamanic tools and the alchemical processes of transformation and healing. Interspersed in relevant chapters are the experiences of the author herself and her husband. They are both generous in their sharing of these experiences which are used effectively to explore patterns of behaviour and of healing. "Congratulations Julie. It was an unforgettable experience to journey through this book with you... And as you know, my life has been changed forever because I walked the path set our by your book, so I am eternally grateful. By the way, your approach to the material is so unique and compelling and yet its practical: a satisfying and informative read that will open your spirit. I cant wait to read it again"